The present Very Large Scale Integration (VLSI) technology is based on Complementary Metal-oxide-Semiconductor (CMOS) technology. The development of the VLSI technology has reached its peak due to the fundamental physical limits of CMOS technology. The recent challenges, as well as the physical limitation of the traditional CMOS technology, has overcome by the Quantum-dot Cellular Automata (QCA) which is first introduced by C. S. Lent. The nanoscale size quantum cell is a feature of QCA technology. In this paper, we propose a new QCA structure for 4-bit binary to 4-bit gray and 4-bit gray to 4-bit binary using two input XOR gate. 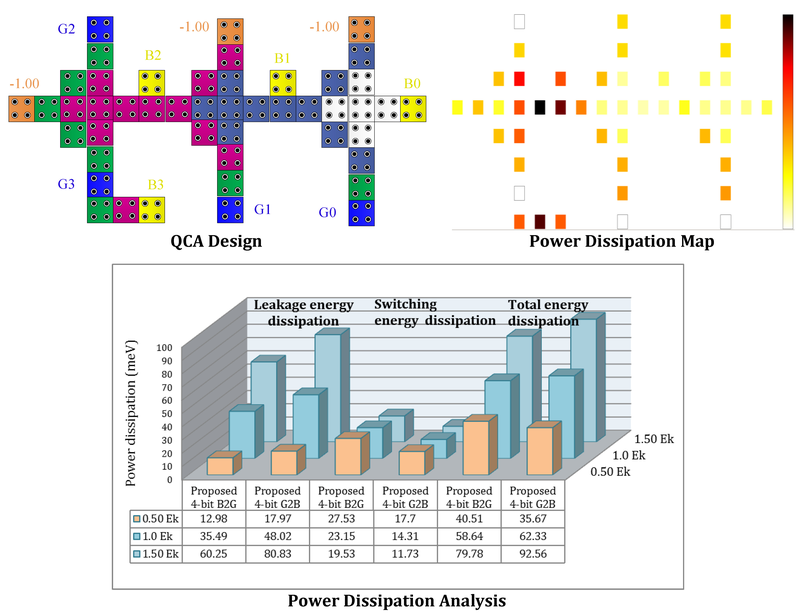 These structures are designed and simulated with QCA designer and compared with previous structure. Keywords: quantum-dot cellular automata (QCA), binary code, gray code, converter, QCA cell, QCA designer.